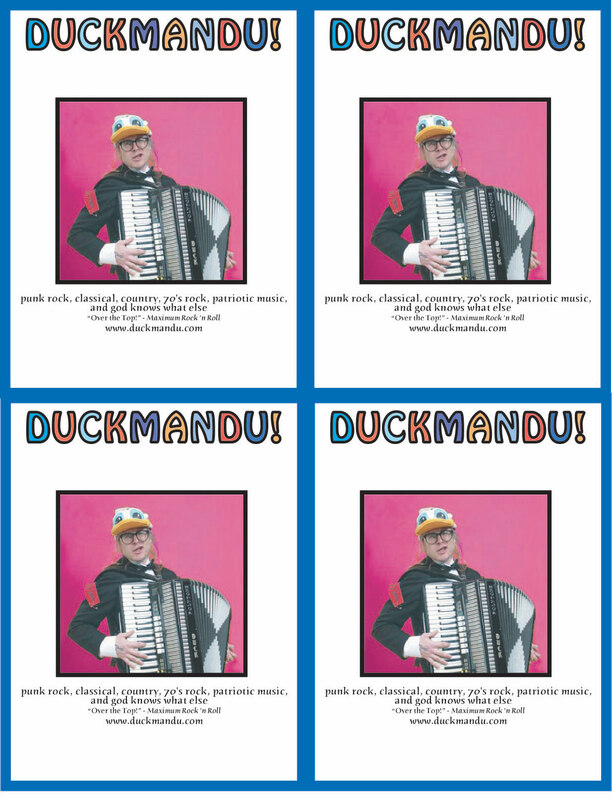 Duckmandu: Aaron Seeman's onslaught of solo accordion and vocals has astounded audiences of all shapes and sizes. 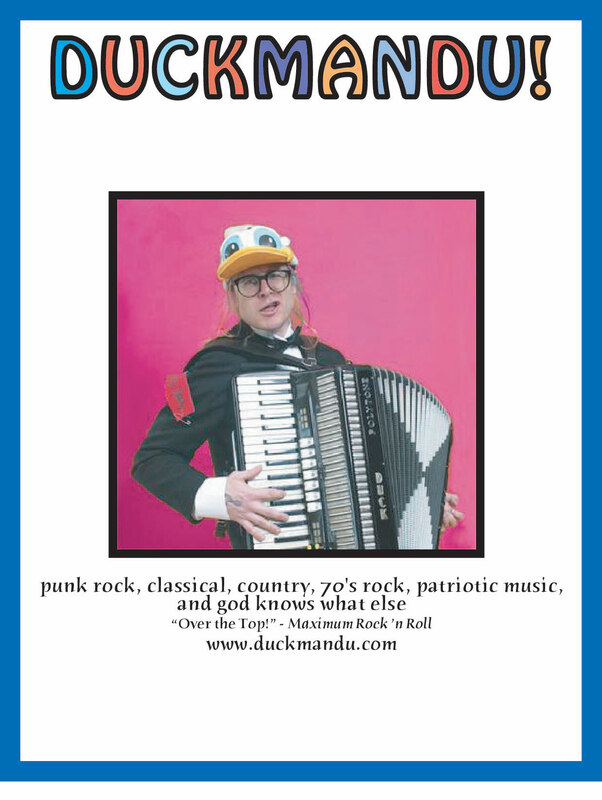 Maximum Rock 'n Roll, the premier punk magazine, pronounced him "over the top!" 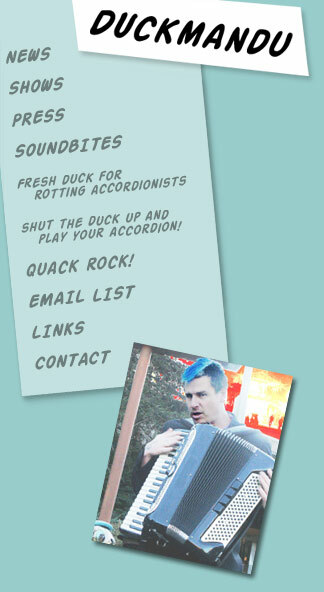 for his note-for-note renditions of the entire first Dead Kennedys album, Fresh Fruit for Rotting Vegetables. 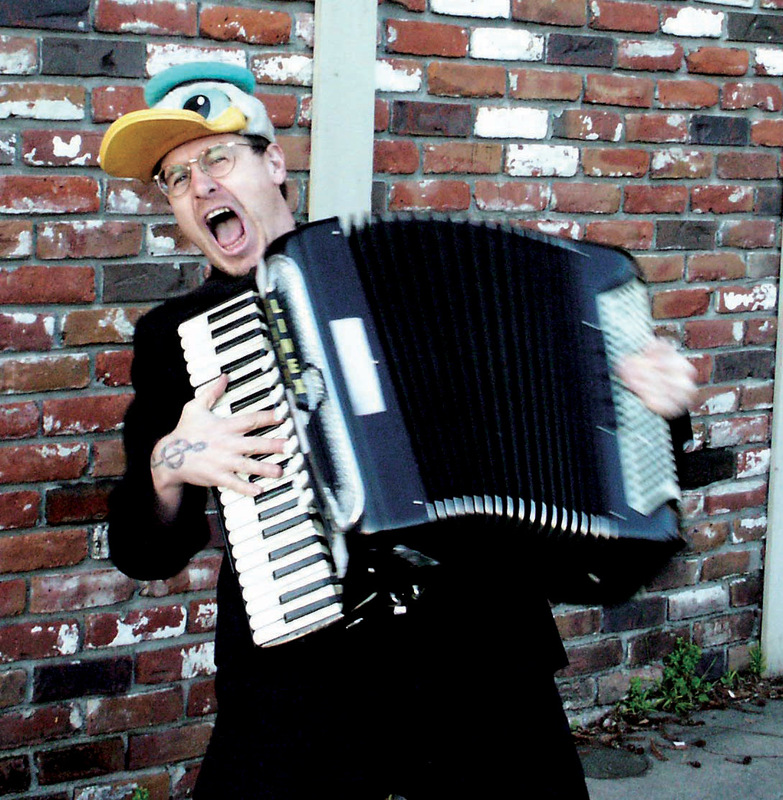 His repertoire also includes, but is not limited to, 70's rock, Broadway, klezmer, classical, country, Sousa marches, punk rock, and even a polka or two. 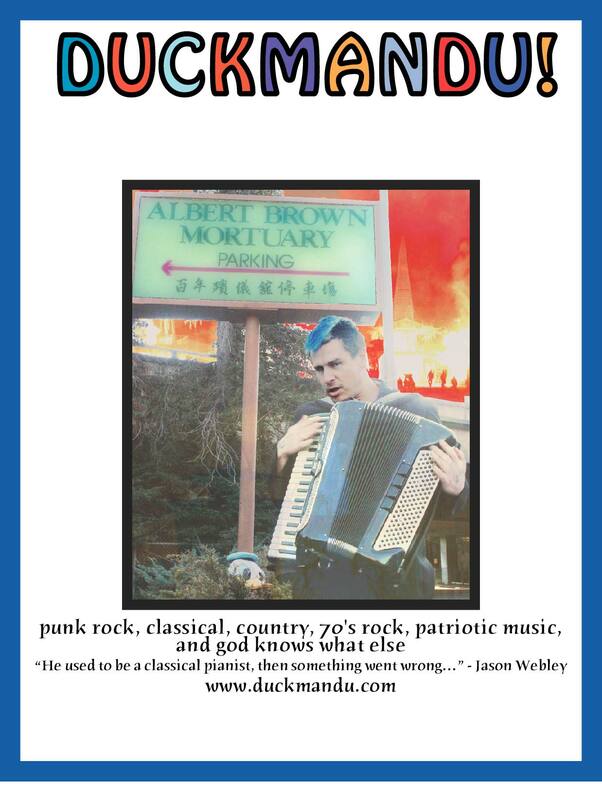 The accordion received a triple blow to its image in American culture that by the 1960's had done serious damage. First, millions of American children were forced to play the unwieldy instrument against their wills. Second, Lawrence Welk's widely watched show focused only on the geekiest, corniest aspects of the instrument. Third, there was the rise of rock 'n roll and the electric guitar. 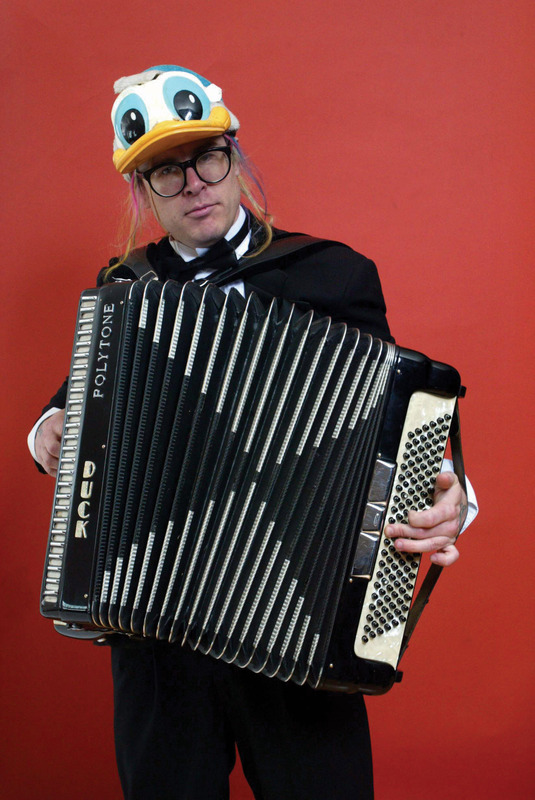 This is not to say that the Duckman renounces geekiness, far from it. 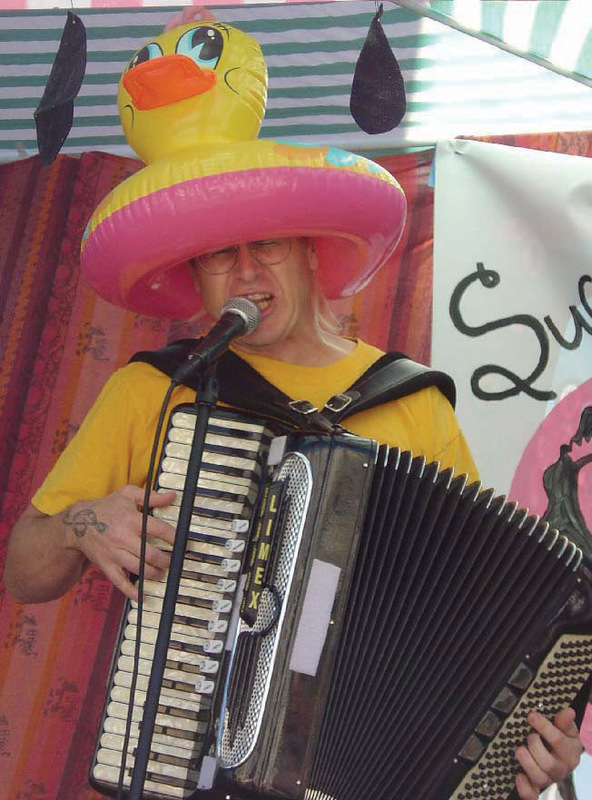 But America and the world must be reminded what a powerful and versatile instrument the accordion can be. 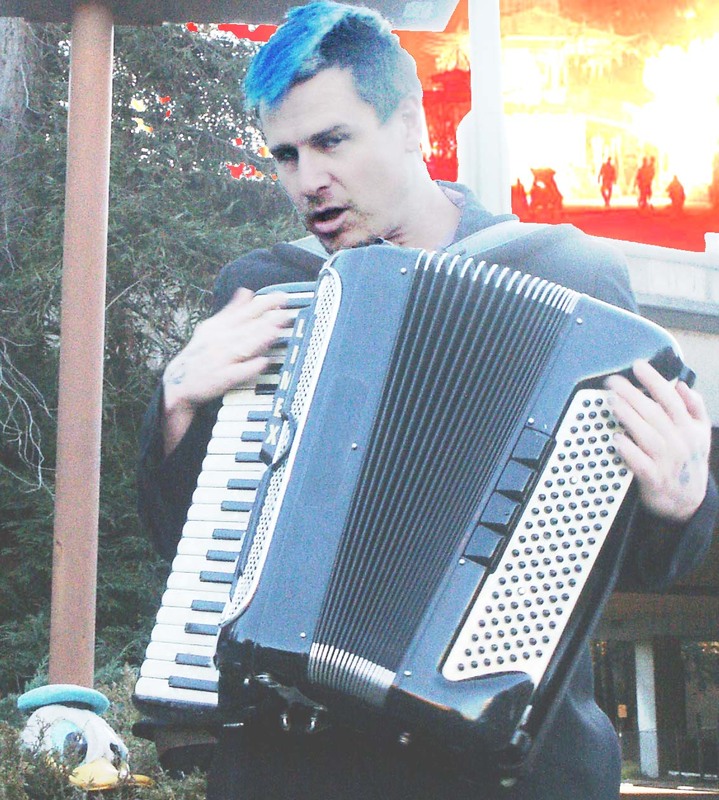 "I never thought an accordion could mesmerize me, but it did." 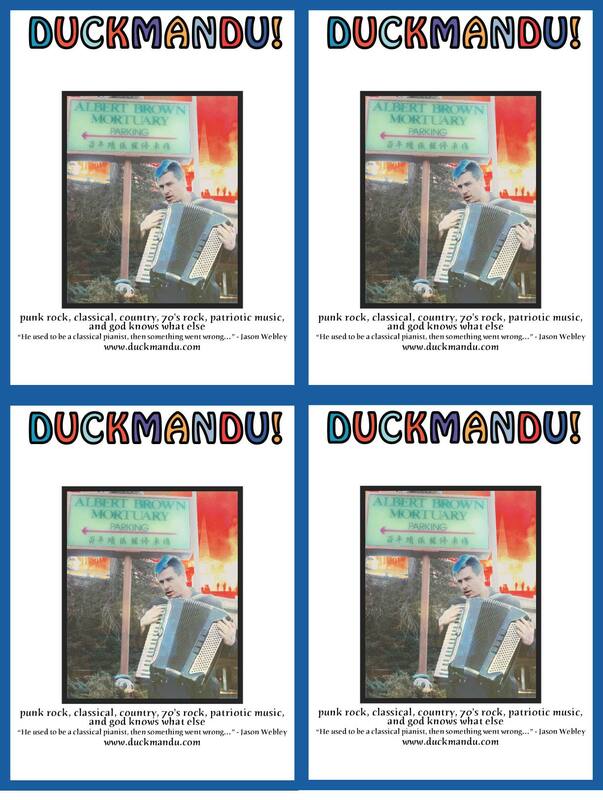 "Duck did a vocal performance that was a warble for warble spot-on Jello." "He used to be a classical pianist, then something went wrong…"